On Friday 11th May, the People’s Community Garden will be open from 10am to 3pm, with tours of the bee hives at 11am and 2pm. The CRESS Community Market and Café will run as usual from 10am to 12.30pm at the CRESS Pavilion, Halifax Road, Ipswich IP2 8RE (entry free of charge), so visitors can enjoy this friendly, bustling event and enjoy a cuppa and a homemade cake courtesy of Ipswich Academy pupils, who will be behind the serving hatch this month. The following day, on Saturday 12th May, it’s the turn of Chantry Walled Garden to open its gates to the public, from 10am to 3pm, with refreshments in Nursery Cottage garden and a wonderful selection of plants for sale. Entrance to each garden will be £3, with proceeds shared between the two charities. Ten years old this year, the People’s Community Garden began on an abandoned allotment site and today includes vegetable plots, a heritage orchard, sensory garden, wildlife areas and herb spiral. The project enables people of all ages and abilities to get active, learn skills and contribute to their community. It has a diverse volunteer base and works with schools and young people. Historic Chantry Walled Garden in Chantry Park has flower borders and vegetable growing areas, extensive glasshouses, and a courtyard garden designed for wheelchair users, enabling older people to carry on gardening. Young people on work placement learn about horticulture here and volunteers from the local community help tend the garden and grow plants. ActivGardens are opening as part of St Elizabeth Hospice’s Great Garden Trail, which runs throughout spring and summer to help generate the funds the hospice needs for its invaluable services. 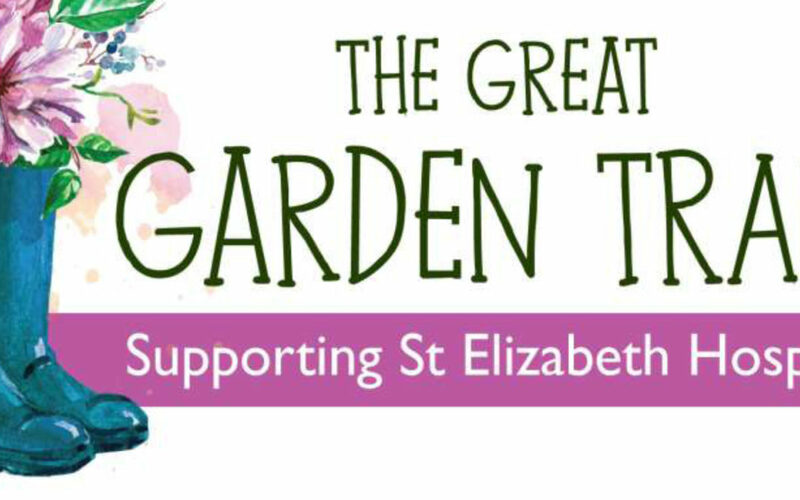 Please follow this link https://www.stelizabethhospice.org.uk/support-us/events/the-great-garden-trail.aspx for more information and a full list of gardens involved, together with maps. 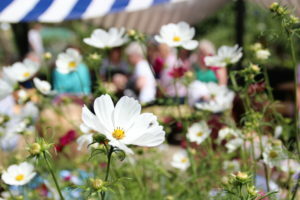 Future CRESS markets will be held on FRIDAY 8 June, Big Garden Party Saturday 21 July, Friday 10 August, 14 September, 5 October, Christmas event 7 December.